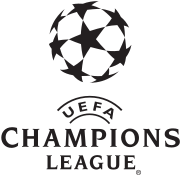 Top favorites to winning this season’s Uefa ChampionsLeague, the two teams from the British isles failed to confirm the expectations and settled both for draws in the opening matches in this years competition. Arsenal had a poor performance against former soviet team,Dynamo Kiev in Ukraine, and instead of winning a match in which they were considered favourites, they barelly rescued a point thanks to the late equaliser from captain William Gallas. The second team that was expected a win from, former Uefa Champions league winner, Manchester United ended a goalless match against Villarreal, and also settled for one point.The return of Cristiano Ronaldo as a second half sub didn’t make any difference in the final result, and ended the their 11-match winning streak on home soil in uefa Champions League.More than that Villarreal‘s Guille Franco hit the woodwork and could have caused a surprisingly result. Having these latest results it’s too early to draw conclusions and say that Arsenal and Manchester United will not be able to repeat the last seasons results , however their poor start raises questions that will probably be answered in the forthcoming matches.